Hey there! 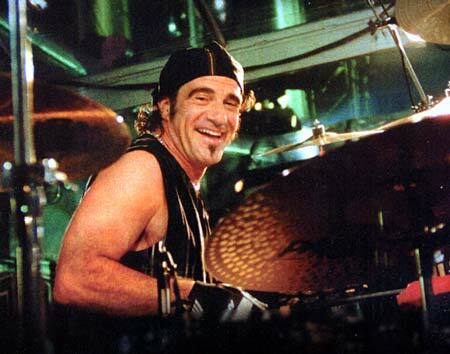 Today our "Hitman", Hector Samuel Juan "Tico" Torres is turning 58. Our favourite Cuban was Born on 7 Octomber 1953 in New York, and brought up in Colonia, New Jersey. Being by at a young age a huge jazz he studied music with Joe Morello. In 1969 he played drums for the psychedelic rock band Six Feet Under. 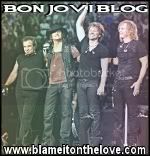 Before joining Bon Jovi in 1983 he had already played live with Joe Carisano in the New Jersey Rock circuit, and played for many artsits studio albums such as Frankie and the Knockouts, Pat Benatar, Chuck Berry, Cher, Alice Cooper and Stevie Nicks. Recording a total of 26 albums. 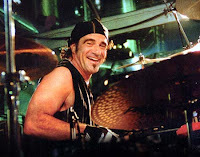 At 1983 he, Jon Bon Jovi, Richie Sambora, David Bryan and Alec John Such formed Bon Jovi and the rest is history.Tico Torres apart from being a very telanted drummer, he also likes another form of art: Painting. He is a self-taught painter, who paints expressive pictures which show scenes from everyday life and the life with the band. He has exhibited his art since 1994. In his free time, while not touring with the guys Tico also enjoys playing golf.Being the ex-husband of the Czech super model Eva Herzigcova now is again married with Maria Alejandra and they have a 7 year old boy Hector Alexander.